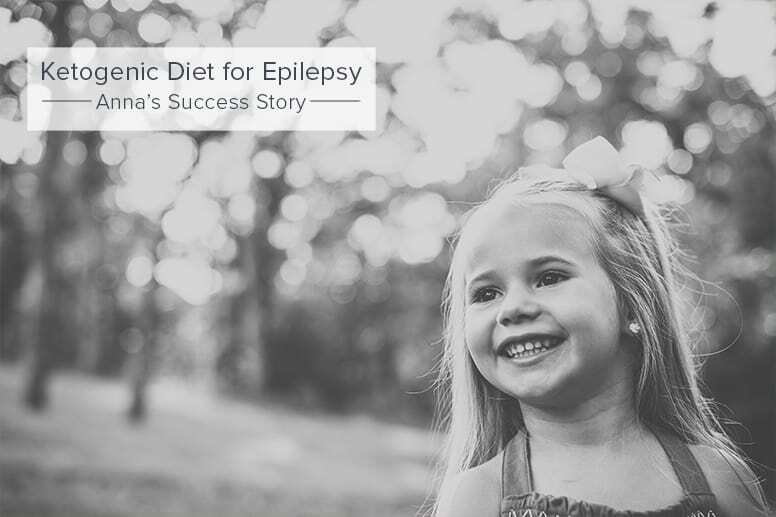 In case you missed Part One, we are talking to Ashley about her 4 year old daughter’s success story with a ketogenic diet for epilepsy. 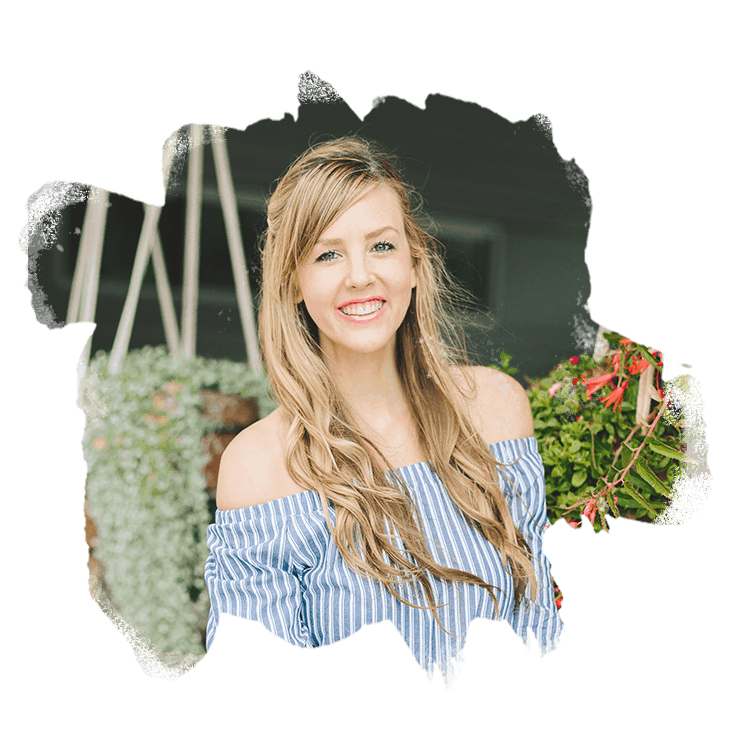 Hop on over to read the first part of this Q&A about how Anna was diagnosed with epilepsy, and get all the details and benefits of a ketogenic diet. Anna’s daily life has changed quite a bit since starting the diet. Anna eats only 3 meals and 1 snack per day. Each meal is roughly 342 calories and her snack is 100 calories. With breakfast Anna takes her Keppra, calcium supplement, daily vitamin, phosphorus/potassium supplement, and Cytra-K (helps her blood not become acidic). With starting the diet, we had to switch all medications to pill form. Liquid medications have sugars in them to help sweeten them so they don’t taste so horrible. She quickly learned how to swallow pills so we didn’t have to crush them and mix them with water. At lunch she takes another round of the Cytra-K, and at dinner she takes Keppra, Zonegram, phosphorus/potassium supplement, calcium supplement, and Cytra-K. The diet doesn’t allow her to get all her vitamins and minerals for the day, so the supplements are necessary. Anna was used to being able to eat snacks throughout the day and not be on such a schedule. When we first implemented the diet, she did have more snacks throughout the day; however, she was consuming too many calories and actually gained some weight. We could have lowered her calories in her meals to provide room for those snacks throughout the day, but she really wasn’t hungry for snacks, so we felt it was best to leave the meals alone and skip them. The one snack she does eat each day is at bedtime. She needs this to help her ketone levels stay large throughout the night. One staple that Anna had prior to the diet was milk. She drank a lot of milk. Since starting the diet, the milk had to be cut out due to the amount of sugars that are in it. She drinks heavy whipping cream diluted with water and a couple drops of pure vanilla extract and liquid stevia. Anna no longer gets to enjoy the cookies, cupcakes, and juice boxes that come with birthday parties. Instead, I have recipes to make her those things and have to send them with her. She is allowed to have Crystal Light and diet pop as a sweet drink. Because of the artificial sweeteners in those, they are limited, though. As a family, we hardly eat out at a restaurant anymore. I have to pack a meal for Anna, so it’s just easier to eat at home. Everything we do has to be planned out around eating schedules. If we’re going to be gone throughout lunch, a lunch for Anna needs to be taken with us. There is no more “winging” it. Anna also has to consume 41 ounces of water every day. This is needed to help her blood levels stay even and not become acidic. It is very noticeable when Anna doesn’t drink enough water during the day. She becomes tired and grouchy. Prior to the ketogenic diet, Anna was on two different medications. We started with Keppra and after roughly five months, we added Zonegram to the mix. Unfortunately, these two medications only reduced the amount of seizures Anna had per day and didn’t stop them completely. Currently she is still taking them with the diet, but we are going to discuss starting the process of slowing weaning her off of them at her next appointment and seeing if the diet alone will work. Because Anna’s diet is for medical reasons and she was hospitalized to implement it, I have really relied on the ketogenic team at Children’s Mercy. We work hand-in-hand with a nutritionist and a chef to help prepare meals for Anna. They hooked me up with a ketocalculator that helps me put ingredients into a meal or snack and factors the calories, fat, carbs, protein, and the ratio of fats to proteins/carbs. Anna is on a 2:1 ratio, which means she eats two fats for every one protein and carbohydrate combined. Her ratio is pretty low compared to most on the diet, so she still gets to eat some bread and fruits/vegetables with her meals. We were going to be on a 3:1 ratio, but her little body went into ketosis with a low ratio and it wasn’t needed to keep going up. We left the hospital on a 1.5:1 ratio and have increased it twice now to keep her ketone levels large. When her ketone levels weren’t staying large, I was constantly emailing or calling our team. Rachel, the chef, helps me greatly with meals. She is able to make meals based on what Anna likes and she is able to help me with ketocalculator. The team at Children’s Mercy is absolutely wonderful. I have gotten onto Pinterest a few times and found recipes that I thought Anna would like. I then email those to Rachel and she is able to get the recipes into ketocalculator for me that meet Anna’s needs. There are a few difficult parts about keeping Anna on the ketogenic diet. One, she doesn’t get to enjoy the same foods as everyone around her. This is difficult for her. When I make meals for the family, I try really hard for them to be similar. I can make normal spaghetti for us and a special spaghetti for her with zucchini noodles, very little spaghetti sauce, very little hamburger, and lots of oil or butter. Breakfast and dinner are the easy meals. Lunch is difficult. She goes to preschool two days a week and needs something she can take that doesn’t have to be heated. That’s where we struggle. Another challenge is just not being able to go out to eat, grab a donut for breakfast occasionally on the way to school, or go out for ice cream. Some of those things that we used to do just don’t get done anymore, but I’ve mastered peanut butter cookies and chocolate cupcakes for her, so birthday parties and special events are easy. I was worried that would be one of the most difficult things. Anna also has to drink a ton of water each day. This is a struggle each day making sure it gets done. She can get 75% of it drank without too much of a fight, but that last 25% is hard. Some days we just don’t get there. One last challenge is that Anna has to eat her food within a 30 minute window. She really needs about 40 minutes. If the meal drags on for too long, Anna just has to be done eating. When it takes her so long, her ratio of foods isn’t being eaten together, so it can affect her ketone levels. Anna would say the most difficult thing is eating butter. She hates it! At the beginning of the diet, Anna could just eat butter by itself. It made getting the fat into the meal quite simple. Now; though, she can’t stand butter and if she has to eat much of it, she will actually gag and sometimes throw up. We made cream cheese roll-ups with low-carb tortillas and again, she ate those for awhile, but now gags when she tries to eat them. The biggest tip I can give someone dealing with the same issues is to be careful to not have your child eat the same thing over and over again. At the time, it seemed so easy to keep giving Anna the few things that she really liked instead of something new because we knew it was liked and wouldn’t be a battle. It would be nice to resort back to some of those easy meals we used in the beginning. Anna is definitely having success on the ketogenic diet, but there are many concerns. The diet is not exactly a healthy diet all around. She isn’t getting vitamins and minerals from fruits, vegetables, milk, etc. Instead, she is now taking supplements for those things. Supplements are great, but not nearly as good as getting them from the food sources themselves. Around Anna’s 5th birthday, she will have to have a bone density scan to make sure her bones are staying strong. I am actually part of a group on Facebook with other parents with children on the ketogenic diet. One parent just posted that they are having to stop the diet after 6 years of success because her son has developed osteoporosis. This is scary. We also really have to watch Anna’s blood acidity. Anna has to drink 41 ounces of water every day. When she doesn’t reach this, it’s definitely noticeable. She mopes and lies around, is easily agitated, and is no fun. We are hoping that this (epilepsy) is something Anna will eventually outgrow, but there are no promises. What if the diet is the only thing that works for her? How long can she actually be on it? I haven’t explored these questions yet as I’ve been more consumed with how it’s working right now. We just need Anna’s brain to not be in turmoil all the time. Anna really likes oatmeal. She eats this most mornings. Sometimes she may have French toast, eggs and sausage, or macadamia nut pancakes with peanut butter. Lunch is the hardest meal of the day, especially on school days. When she goes to school, she usually eats turkey, macadamia nuts, semi-sweet chocolate chips, and heavy cream. Some days she’ll take a chicken salad. When we are at home, she tends to go towards beef hotdogs. Dinner varies every night. One favorite dish is a beef stroganoff. Every Friday we enjoy a pizza with a cream cheese crust. Other staples are tacos, sausage casserole, hamburgers, and chicken salad. Anna usually has some type of sweet treat for her bedtime snack. She enjoys ice cream, chocolate cupcakes, and peanut butter cookies. Although these meals all sound very normal, they are made very differently from the way I make them for the rest of the family. Anna drinks heavy whipping cream with just about every meal because it’s an easy way to get in her fat. Chicken salad is about half chicken, half mayonnaise. I have to pour oil over the top of her pizza and let it absorb in for a couple hours before baking. Her tacos have way more sour cream than hamburger. She eats hotdogs and hamburgers without buns or ketchup. Anna was and still is a big oatmeal eater. Now that’s she’s on the diet, we had to make some huge modifications. Her oatmeal consists of 8g. butter, 8g. almond flour, 14g. oats, and 56g. heavy whipping cream. I add a little water after it’s been cooked and a sprinkle of cinnamon for some flavor. She eats this just about every morning. She also really likes sweets. That poses a huge challenge on this diet. I’ve learned to make some chocolate cupcakes with cocoa, coconut flour, truvia, baking soda, eggs, coconut milk, and butter with heavy whipping cream whipped on top. For a sweet treat, she also eats trail mix: macadamia nuts with semi-sweet chocolate chips (not many chocolate chips of course). I’ve managed to also make an ice cream she likes with eggs, heavy whipping cream, pure vanilla extract, and a little sugar. A favorite meal of hers is beef stroganoff. Instead of serving that over noodles, she eats hers over a small helping of cauliflower. One thing that she truly missed was chips. I was able to find a recipe on Pinterest that used cheddar cheese as a taco shell. I grate cheese from a block because the prepackaged grated cheese has an anti-clumping agent in it that has carbs. I make piles of the grated cheese on parchment paper and microwave it for about 3 ½ minutes. It bubbles and oozes fat during the process. Once the cheese is done bubbling, it’s done, and then you let it sit and absorb the grease back in. My advice to a parent looking for a way to manage their child’s epilepsy is to do what you feel is best for your child and you. It may be medication. It may be the diet. It just needs to be something that can be implemented and implemented well. The ketogenic diet is wonderful now that we’re six months in, but many people, especially my dad, were against it from the start. It’s not exactly the healthiest option and people have heard stories of it not working for someone else. You can’t be afraid to try and see if it’s for you and your child. Is it intense? Yes! I feel like a drill sergeant getting Anna to eat her food within her 30 minute window and it takes a lot of my time in the kitchen. It has definitely gotten easier for me these past couple months, but I also have more time than most now that I’m at home. We waited to start the diet so that I could fully focus on it for the summer months prior to going back to work (then I ended up resigning early May J). There is no way I could have switched to this diet while working. I would have been absolutely drained. There are people out there that do it, so it can be done. I’m 100% for the diet. Any parent looking into it just needs to understand that it’s SO important to be on top of it. It would definitely be easier to give in and let your child have some of those forbidden things (candy) when you see them at the first parade that they can’t have candy or the first time they go trick-or-treating. It’s heart-breaking. I have found that you just have to take alternative options for them and make it special in a different way. My biggest question is, why does burning fat instead of glucose cause the body not to seize? Unfortunately, doctors and experts are still figuring it out. It’s understood how the body can burn ketones and go into the state of ketosis, but how does this process change what is happening in the brain? I’m very appreciative that this approach was found, but I’m dumbfounded that after all these years, doctors and experts are just as amazed at the questioning of how it actually works. I have thought about this question a lot. I’m not sure I could describe ketosis for epilepsy in one sentence. It’s such a scientific and mathematical way of treating epilepsy. It’s intense, but SO worth it!! Unfortunately, it doesn’t work for everyone. We are grateful that it has worked for Anna and we’ll continue to learn more about it as we go. When Anna talks to her peers about her diet, she explains to them that she is “allergic to sugar” or that “sugar gives her the shakes”. Thanks so much to Ashley and Anna for sharing their story! Any questions for Ashley? Fire away in the comments below, and be sure to check out Part One of this story here. My boss’s son was diagnosed with epilepsy as well and is on a strict Keto Diet. She lives just south of STL , MO. She is having trouble finding resources and ways to implant the diet with different recipes. She is having trouble with prep as well. I’m looking for any resources that I could give her to help. I know you noted someone at children’s that you could give recipes to. Is their support groups or other resources? Any help would be greatly appreciated! !